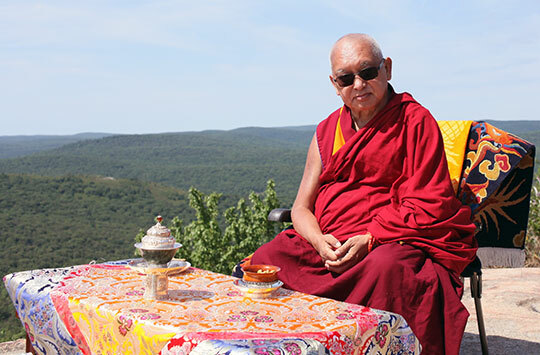 Lama Zopa Rinpoche on Bear Mountain, New York, US, July 2016. Photo by Ven. Lobsang Sherab. Foundation Store News: Many Items Now Available Directly from Europe! 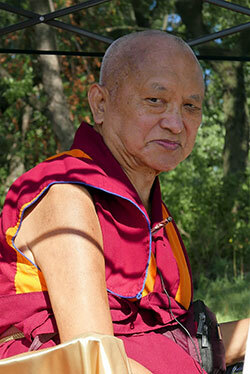 Lama Zopa Rinpoche is currently teaching during the Light of the Path retreat in English, with interpretation into Italian, Spanish and French and Mandarin. Watch the teachings live or recorded. 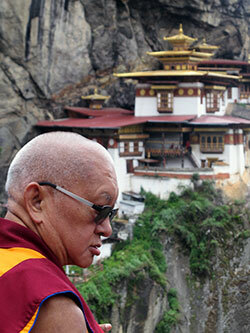 Lama Zopa Rinpoche at Taktsang (Tiger’s Nest) Monastery in Bhutan, June 2016. Photo by Damien van Effenterre. The mind abiding in correctly following the virtuous friend. The mind abiding in renunciation of samsara. The mind abiding in bodhichitta. The mind abiding in emptiness. The mind abiding in tantra path – the two stages. Lama Zopa Rinpoche in Bhutan, June 2016. Photo by Damien van Effenterre. Subscribe to our FPMT news blog to get updates as soon as they are announced. 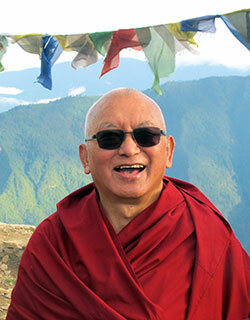 Enjoy livestreams of many of the teachings above and recordings of Rinpoche’s most recent teachings on Rinpoche Available Now! Lama Zopa Rinpoche explaining the amazing benefits of receiving the lung of “The Names of Manjushri,” New York, US, August 2016. Photo by Ven. Roger Kunsang. Each year on Chokhor Duchen, which commemorates Lord Buddha’s first teaching, and which fell on August 6 this year, the Puja Fund sponsors pujas and offerings all over the world dedicated to the success of the entire FPMT organization. The practices are offered by up to 15,650 monks and nuns and this year included the recitation of the short, medium and long versions of the Prajñaparamita and the entire Kangyur. Extensive offerings were presented to Lama Zopa Rinpoche’s gurus and holy objects in India and Tibet. We invite you to read more and rejoice with us in all of the pujas, practices, and prayers Lama Zopa Rinpoche advises sponsoring on this special holy day. Earlier this year, Rangjung Neljorma Khadro Namsel Drönme (Khadro-la) spontaneously composed a long life prayer for Lama Zopa Rinpoche. We are happy to make this prayer available in several languages, including the newly added Chinese version. Mandala has another ebook coming out in September! 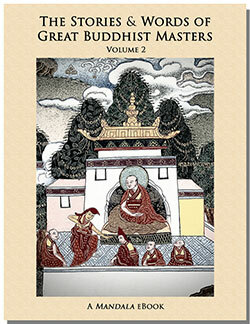 The Stories & Words of Great Buddhist Masters, Volume 2 will become available to supporters of Friends of FPMT. Sign up to Friends of FPMT now to receive your digital copy of this collection of stories of and interviews with important Tibetan teachers, including His Holiness the Dalai Lama, Lama Yeshe, Geshe Lama Konchog, Geshe Lhundub Sopa, Kirti Tsenshab Rinpoche and many more. In case you missed news about Lama Zopa Rinpoche’s trip to the Buddhist kingdom of Bhutan in June, you can find all of the stories and photos from Bhutan as part of the FPMT News blog. If you’d like to receive the latest news, advice and updates about Lama Zopa Rinpoche and FPMT centers, projects and services around the world, please subscribe to our daily email news digest. Did you know FPMT International Office has planned giving options? Making arrangements to name FPMT, Inc. as a beneficiary in your will or trust, or gifting through other assets, is actually a pretty simple process. Please contact george@fpmt.org for more information. Many Items Now Available Directly from Europe! Maitreya Instituut in the Netherlands now makes many of the items stocked by the Foundation Store in the United States available from Boeddha Boeken, its online shop! European residents can now save significantly on shipping costs, taxes and customs fees by ordering directly from Boeddha Boeken. Please contact business@maitreya.nl for more information. Please note: Boeddha Boeken does not currently carry every item available in the Foundation Store, including many digital items like Online Programs and eBooks that require no shipping. Lama Zopa Rinpoche visited Khyongla Rato Rinpoche on the morning of Chokhor Duchen to respectfully make offerings. Rinpoche always offers lunch to all his gurus on these special days. New York, US, August 2016. Photo by Ven. Lobsang Sherab. 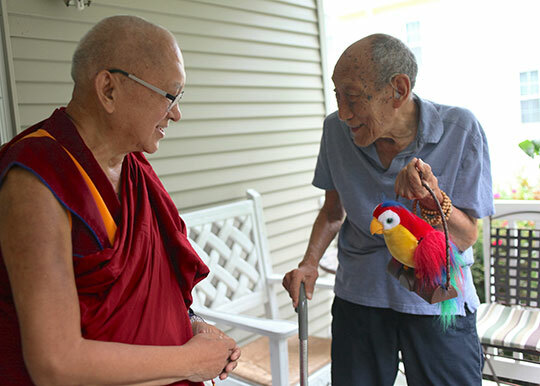 Khyongla Rato Rinpoche shows Lama Zopa Rinpoche one of his favorite things, a toy parrot that repeats whatever you say. Both lamas enjoyed the parrot a lot! New York, US, August 2016. Photo by Ven. Lobsang Sherab. We hope that your celebration of Sangha on FPMT’s 14th International Sangha Day (Chokhor Duchen, August 6) went well. We also hope you found Ven. Chantal’s update on the International Mahayana Institute (IMI) timely and helpful. We’d love to hear your feedback – please share it with Center Services! Land of Calm Abiding, California, USA, is looking for a caretaker.